With organizations seeking to maximize performance on the one hand, and with the growing prevalence of workplace stress, burnout and other work-related maladies on the other hand, surely positive psychology can offer a wealth of solutions to our modern work-related challenges. One very specific field of research in positive psychology which can be applied in the world of leadership, work and organizations, is that of Positive Organizational Scholarship. Together with colleagues Jane Dutton and Robert Quinn, Cameron set out to research what factors lead to “especially positive outcomes, processes, and attributes of organizations and their members” (Cameron, Dutton & Quinn, 2003). In contrast to many other organizational research frameworks, POS explicitly focuses on positive patterns, dynamics and processes that lead to excellence in organizations. While more traditional organizational research is equally valid and important, POS provides a new lens through which to investigate organizational phenomena. The inclusion of the word “scholarship” points to the fact that POS researchers emphasise the importance of empirically validated studies with sound methodology from which they derive their findings and recommendations. One central tenet of Cameron’s approach to POS is the belief that the “desire to improve the human condition is universal and that the capacity to do so is latent in most systems” (Cameron et al, 2003, p.11). 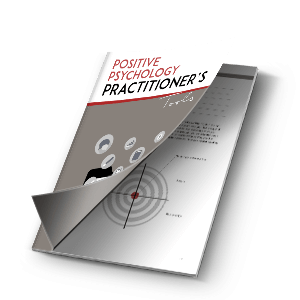 Another key piece to understanding the nature of POS is the “heliotropic” principle, of appreciative enquiry, which assumes that all living beings tend to lean towards life-giving positive energy, and by the same token, away from negative energy (Cameron, 2013, p.4). This same principle is thought to apply to people in organizations; and that by enabling the creation and expression of more positive energy, organizations and the people within it, will thrive. 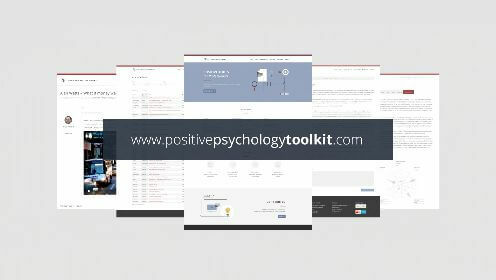 In short, POS includes all the topics which other positive psychology researchers have been working on over the past 15 years. The shift of POS is understanding these topics and their dynamic application in relation to the workplace. All of the above can lead to enhancing organizational performance while increasing positive experiences for people in the workplace – truly a win-win situation! Just a few of the real life applications of this research include helping organizations recover from crisis situations, improving employee health and well-being, developing inspirational leaders, and many more. What can we learn from POS research? Cameron (2003) has identified “four strategies that have been shown to create positive performance in organizations”. The first is the creation of positive climate. Through leadership practices which create an abundance of positive experiences, a culture of virtuous action and applying an affirmative bias which focuses on the best (strengths rather than weaknesses, opportunities rather than threats) organizations can build a positive culture of abundance. The second positive leadership strategy is positive relationships; a key part of which is developing positive energy networks. In any organization there will be people who are known to be energizers, and those who tend to be less energizing, or even de-energizing. Energizers are easily recognized, as the people that others gravitate towards. They are typically genuine, authentic people with a positive, engaged and appreciative outlook on life. Organizations can release more positive energy by identifying and utilizing strengths of energisers in a more focused way; for instance during change management projects. Additionally, developing energizing skills in leaders has been found to increase goal achievement, satisfaction and performance in teams (Cameron, 2013, p.56). Mindfulness and gratitude are further tools to increase positive energy that can positively influence relationships and networks. The third strategy is positive and supportive communication. When dealing with difficult situations such as giving negative feedback, this strategy is an extremely important part of practicing positive leadership. Positive communication allows communication traps such as defensiveness and disconfirmation (when people “feel put down, ineffectual, or insignificant from communication” (Cameron, 2013, p.81) to be avoided, leading to more trusting, more meaningful and ultimately more successful conversations. Essentially, a supportive style of communication means that information is shared in a more neutral, descriptive way, focusing on solving problems rather than pointing out perceived personal deficits. The final strategy Cameron suggests is creating positive meaning by setting specific kinds of goals that he calls “Everest” goals; which go beyond the concept of stretch or SMART goals. They “represent goods of first intent”, the inherent value of wisdom or fulfilment, creating a sense of calling in work. They “create and foster sustainable positive energy”, the pursuit of which results is feeling energised and uplifted, rather than tired. With these learnings from POS, perhaps more organizations will begin to pay attention to POS interventions and begin implementing its practices thus creating thriving, positive leaders, employees and organizations. What experience have you had with POS strategies at work? Has your organization adopted POS practices? Cameron, K.S., Dutton, J.E., and Quinn, R.E. (2003) Positive Organizational Scholarship. (pp. 3-13) San Francisco: Berrett-Koehler. I am hugely passionate about POS. I attended a POS Senior Executive Programme with Kim Cameron, Bob Quinn, Jane Dutton and their Team some 3 years ago. I completed my PhD in Positive Organisations in 2013. Kim Cameron and his lovely wife has already visited us twice in the last 5 years. I have a huge need to build an international network of like-minded POS Ambassadors. The positive benefit for all of us is that we cannot work in each others space BUT can learn a lot from each other. Would you be prepared to venture to join such a International Network of POS Ambassadors. Your feedback is important to me.